This product is ideal for cleansing at nappy change times and for general clean ups. The wipes are lightly fragranced and are handy to have around for any ‘oops’ moments. These baby wipes are paraben free, paediatrician & dermatologically approved and suitable for newborns. Our Baby Dream baby wipes are ideal for cleansing at nappy change times and for general clean ups. Our wipes are either fragrance free or lightly fragranced and are handy to have around for any ‘oops’ moments. Our baby wipes are paraben free, paediatrician & dermatologically approved and suitable for newborns. These wipes have been specially formulated for babies with sensitive skin. The wipes are fragrance free and are ideal for cleansing at nappy change times and other general clean up moments. These baby wipes are paraben free, paediatrician & dermatologically approved and suitable for newborns. For a full list of our product claims, please see the below description. 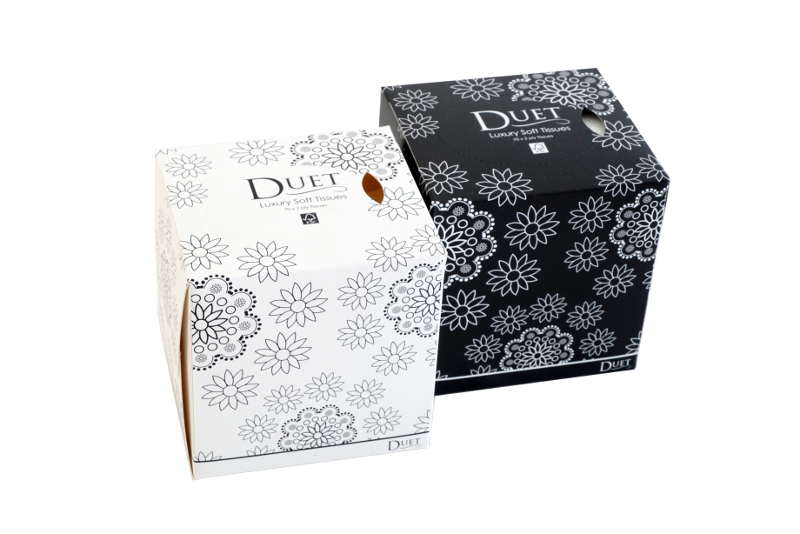 The Duet Luxury Soft Tissue box has a modern striking black and white design. These 2ply tissues are especially gentle and absorbent. Cherish Luxury Soft Facial Tissues have been designed to blend in with today's interiors with a fresh, modern design. With a choice of lilac or china blue in an abstract floral pattern and a pale cream matt box. The two variants are packed in a mix in the outer box. 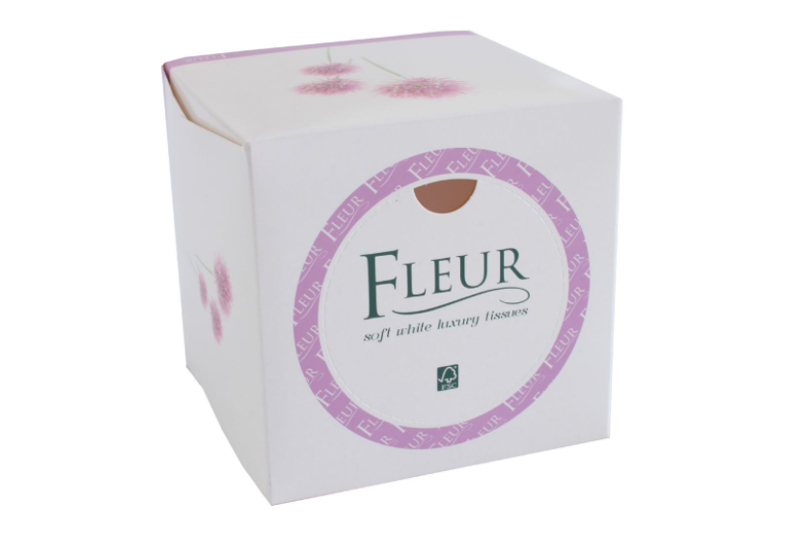 Fleur soft white luxury facial tissues have been classically designed to compliment today’s interiors. Our 2ply tissues are made up of 2 soft and strong layers of quality tissue. This popular modern and masculine designed box offers the quality and value you associate with our products, ideally suited for those who prefer a larger tissue. 2 ply tissues in a plain white box. Our Timeless Luxury 3ply Tissues have an on-trend vintage appearance and are designed to compliment the interiors of todays décor. Our tissue boxes contain 55 x soft layers of luxury 3ply tissues. Our tissue is responsibly sourced and is FSC accredited. These Countess Ultra Soft 3ply Tissues are in a handy family sized box in a classic design, designed to complement the Viscount Mansize box. Viscount Ultra Soft 3ply Tissues are especially soft and strong. This popular classic masculine designed box once again offers the quality and value you associate with our products, ideally suited for those who prefer a larger tissue.